Enjoy six new Cather-inspired candles! 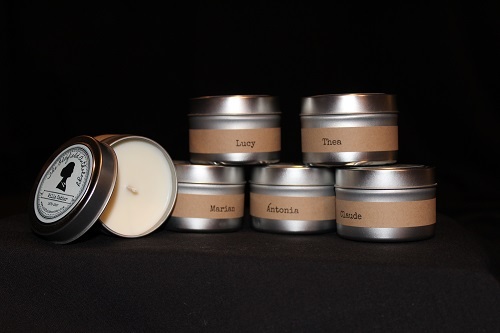 These custom-designed candles represent Cather's Nebraska novels and are named for their main characters: Alexandra, Thea, Ántonia, Claude, Lucy, and Marian. These clean-burning soy candles contain only natural essential oils and botanical extracts for the fragrances, and absolutely no synthetic ingredients.